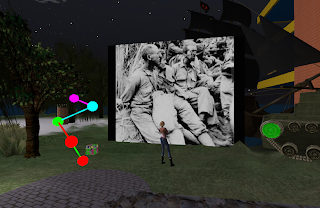 Beth's Second Life: The Virtual Edgar Allan Poe Classroom ReBorn! Edgar Allan Poe wrote his first horror stories in Baltimore. What was Baltimore like back then? Find out by taking the Edgar Allan Poe Tell-Tale Tour of Baltimore, June 15 through September 30, 2009. Explore Poe’s Baltimore through many of the fascinating museums, attractions and tours brought to you by the Greater Baltimore History Alliance.